A water softener system from RainSoft in Cleveland, Ohio, can help you see immediate improvements in the quality of your home’s water. Since 1953, we have refined and upgraded our water softeners to stay on the cutting edge, a practice that has helped us become a worldwide leader in the water treatment industry. 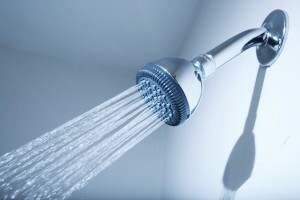 When you trust us to install a whole house water softener in your home, you can expect to see a number of beneficial changes in your home’s water right away. That’s because our advanced systems address the elevated levels of calcium, magnesium, and bicarbonate ions that are the root causes of water hardness. By replacing these ions with sodium or potassium, our systems produce soft water that allows you to avoid the many of the adverse side effects of water hardness. You can trust that our RainSoft water softener systems will provide these benefits because they are all independently Tested and Certified by the Water Quality Association (WQA), ensuring that they will perform exactly as advertised. Furthermore, all of our products are covered by our RainSoft Limited Lifetime Warranty, ensuring that your new investment will be well protected for as long as you own it. Contact your local authorized RainSoft dealer today for more information about our available home water softener systems in Cleveland, OH.